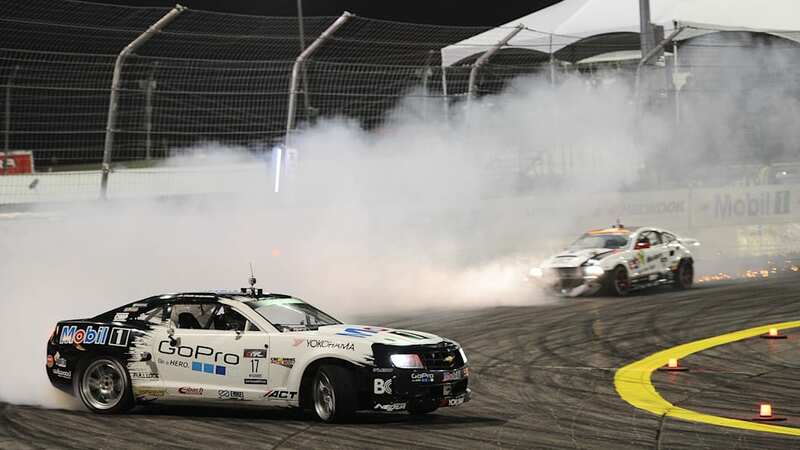 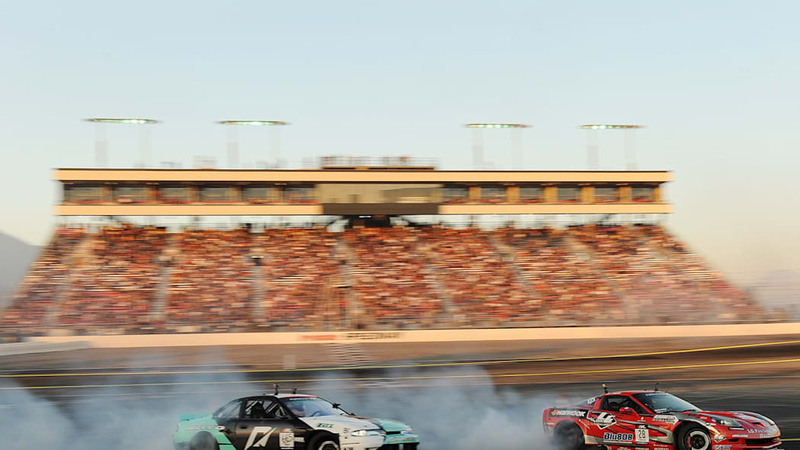 Coming into the last event of the Formula Drift season no less than seven drivers had a chance at winning the championship. 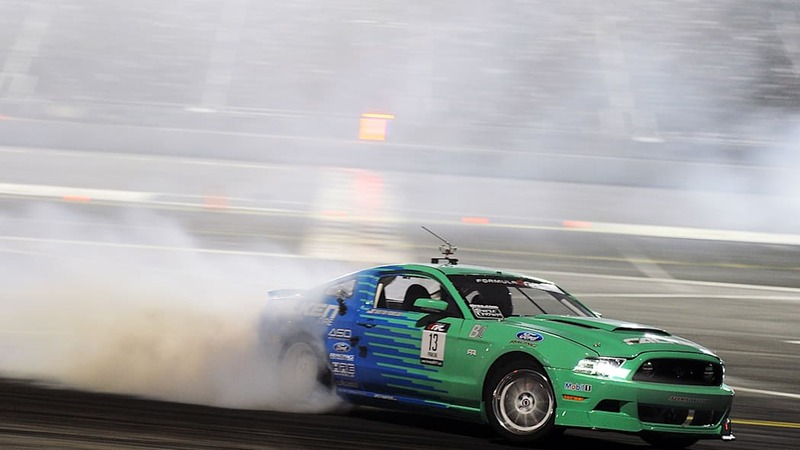 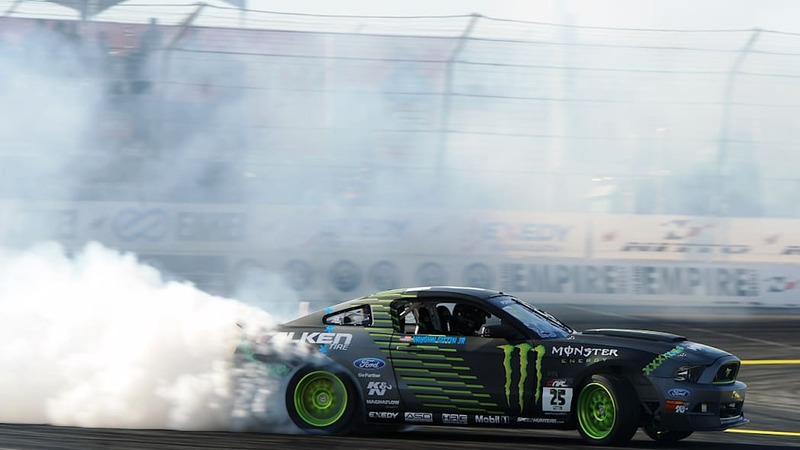 Vaughn Gittin Jr., the 2010 champion, was the odds-on favorite, entering the final with a size points lead gained from back-to-back wins earlier in the season, but other drivers like veteran Rhys Millen, last years champion Daijiro Yoshihara, rookie Daigo Saito and Gittin's fellow Mustang driver Justin Pawlak were all in the hunt. 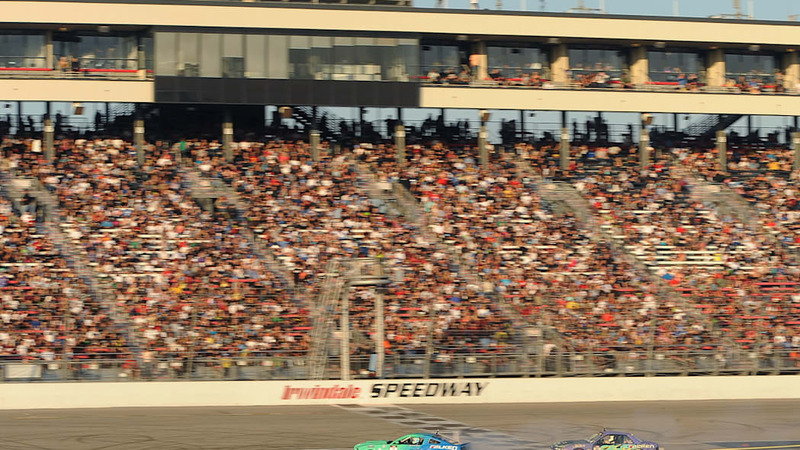 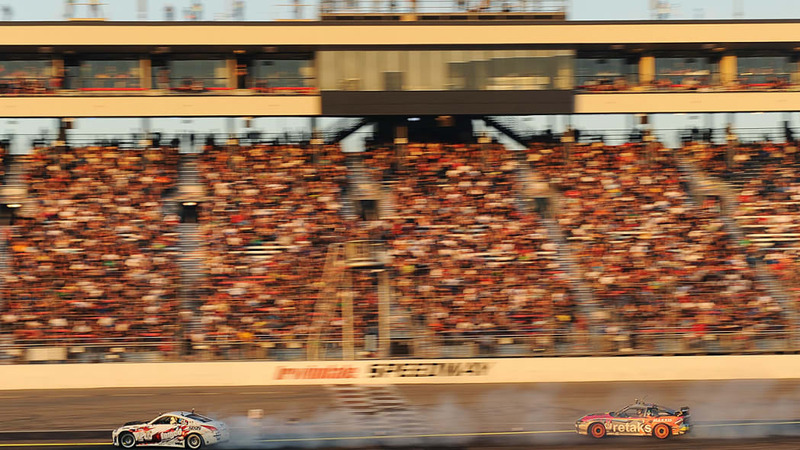 It was a packed house at Irwindale Speedway in Southern California to watch the finale – for the first time in the event's history all tickets were sold out before the competition even began. 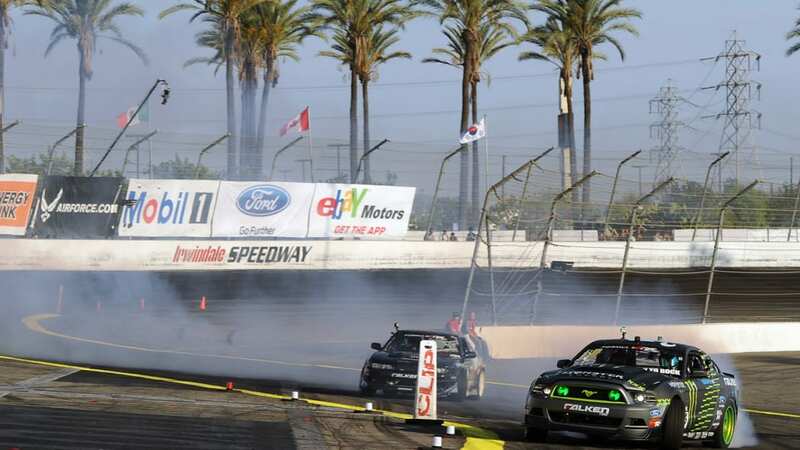 The drivers put on quite a show for the capacity crowd, and Vaughn Gittin Jr. made things interesting by getting knocked out early in the competition. 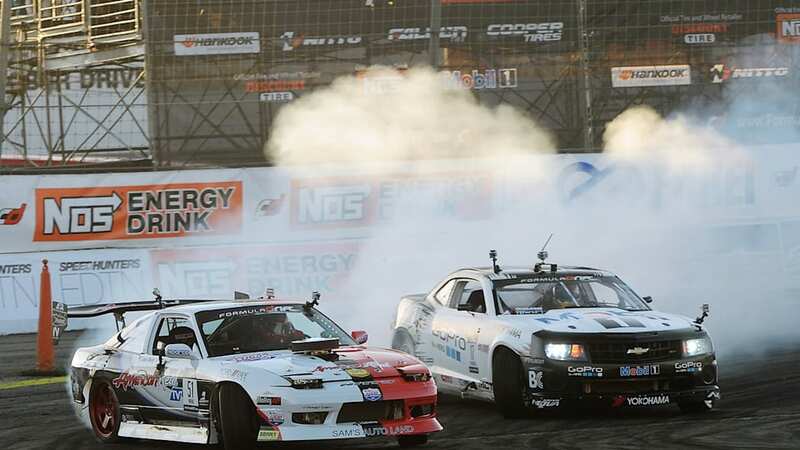 That left the door open for Rhys Millen and Daigo Saito to take the overall points lead. 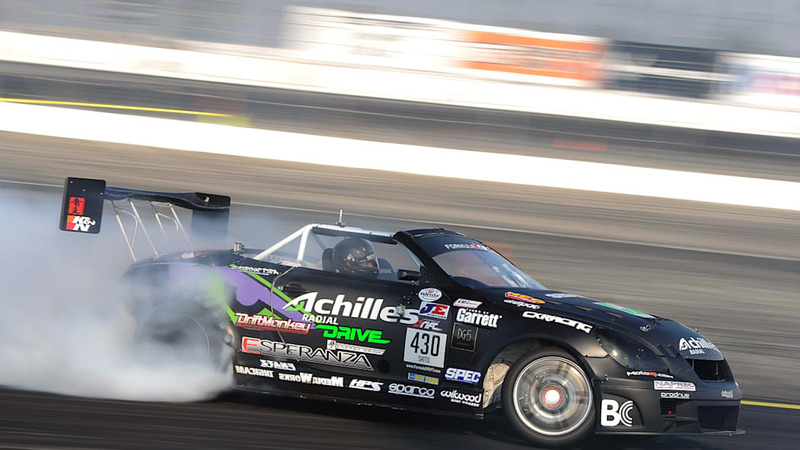 While Millen managed to make the semi finals, it was Saito who took full advantage, beating out every driver he faced in heads-up competition in his 1,200 horsepower Lexus SC430. 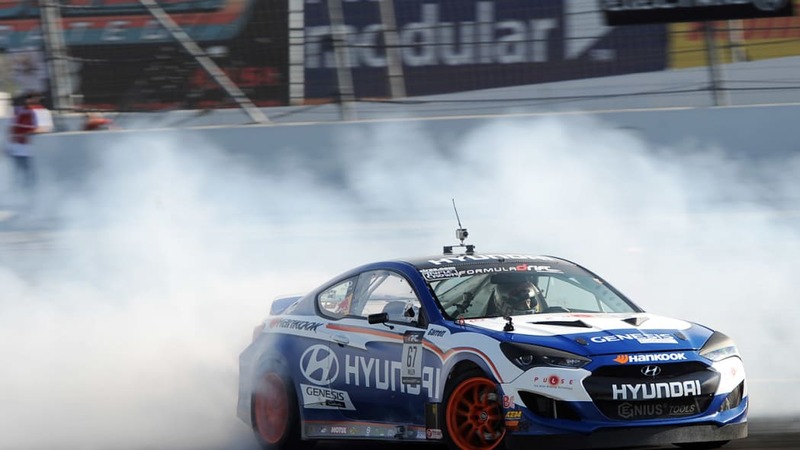 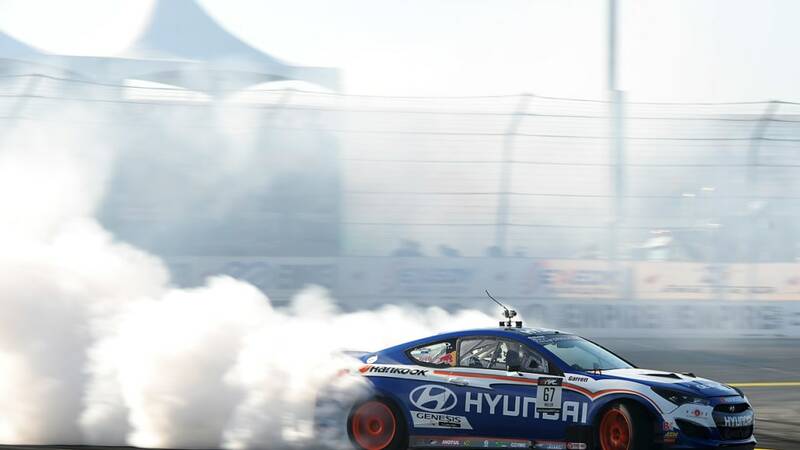 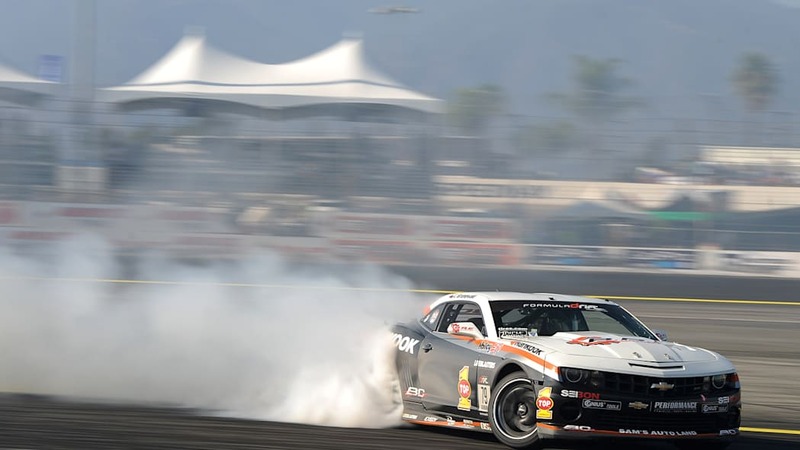 The first place finish not only gave him the most coveted win in the Formula Drift schedule, but the overall championship as well in his first season. 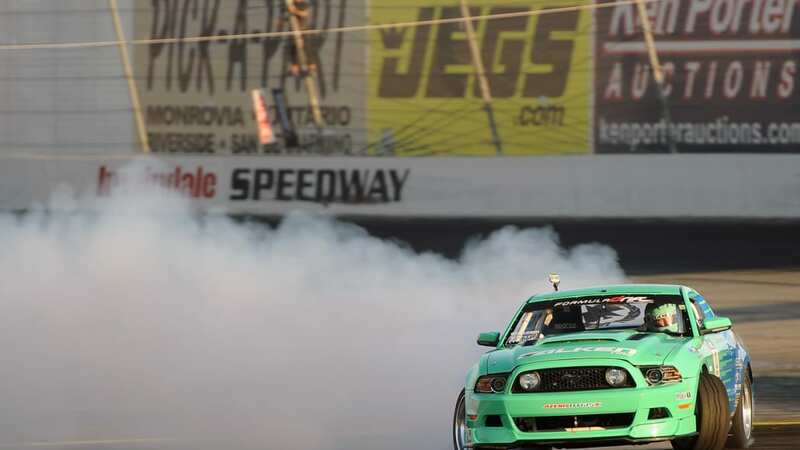 This perhaps makes him the most highly rated drifter in the world, having already won the Formula Drift Asia championship as well as a D1 championship. 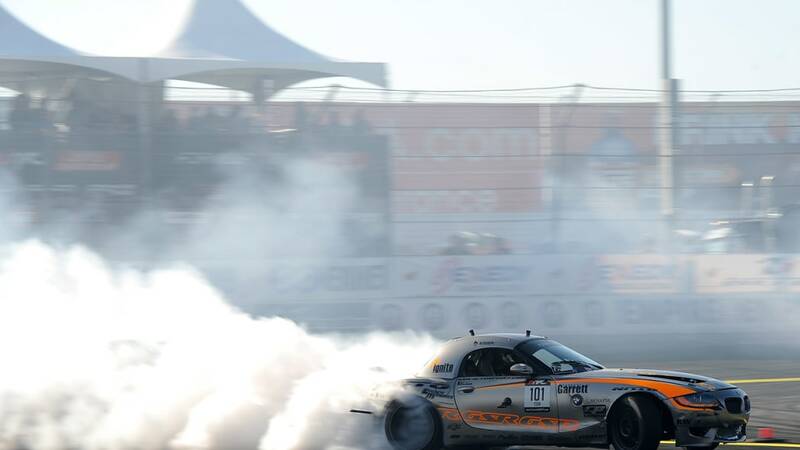 You can read the official press release below or check out our photos from the event in the gallery above. 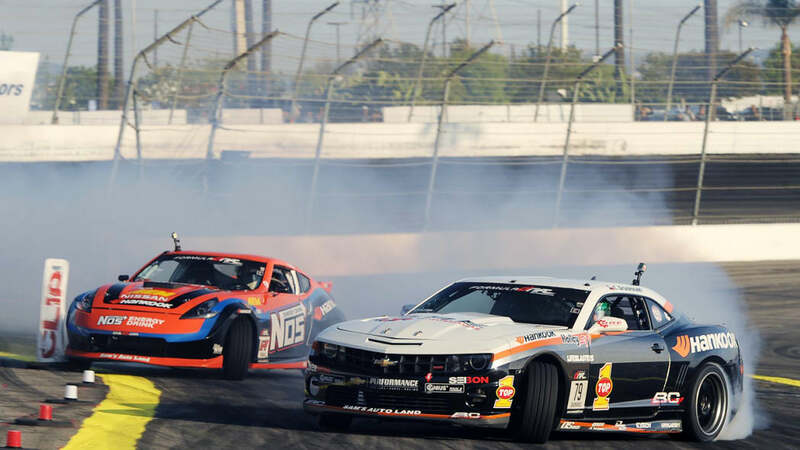 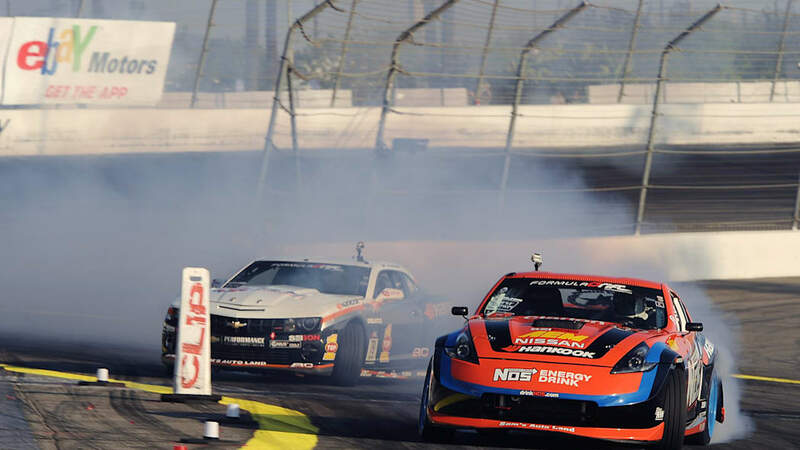 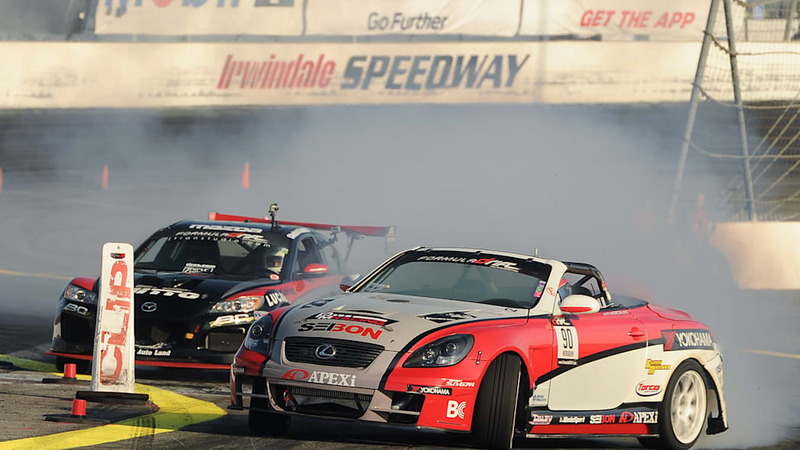 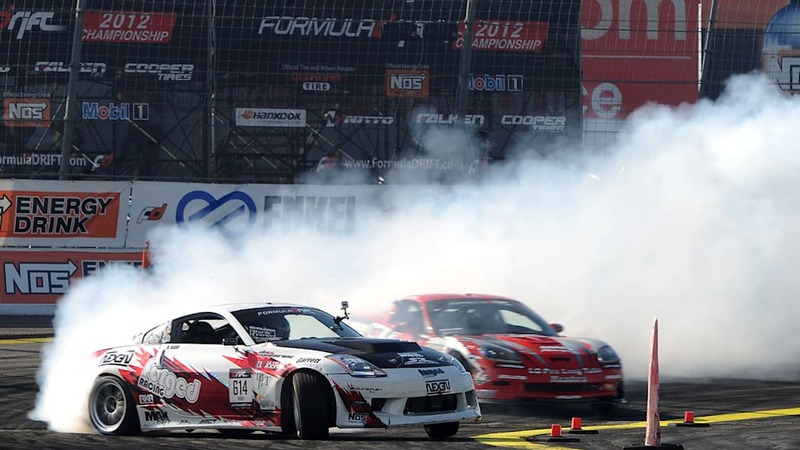 Long Beach, Calif. – Formula DRIFT returned to Irwindale Speedway for the 2012 season finale. 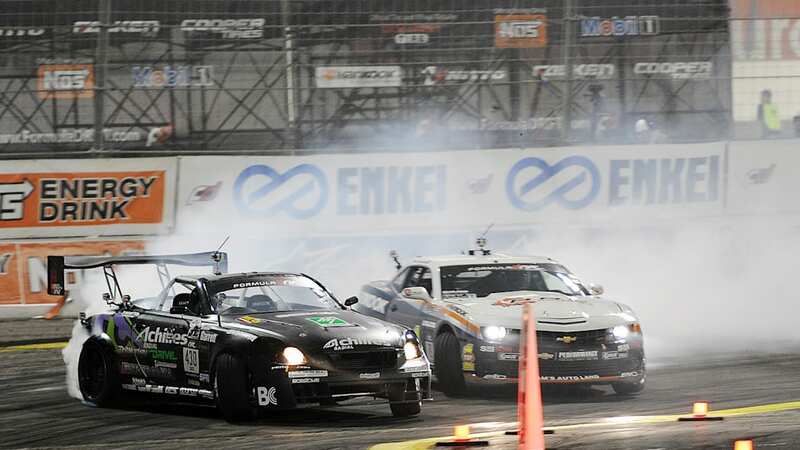 Daigo Saito in the Achilles Tire / Bridges Racing Lexus SC430 takes the event victory and wins the 2012 Formula DRIFT Championship. 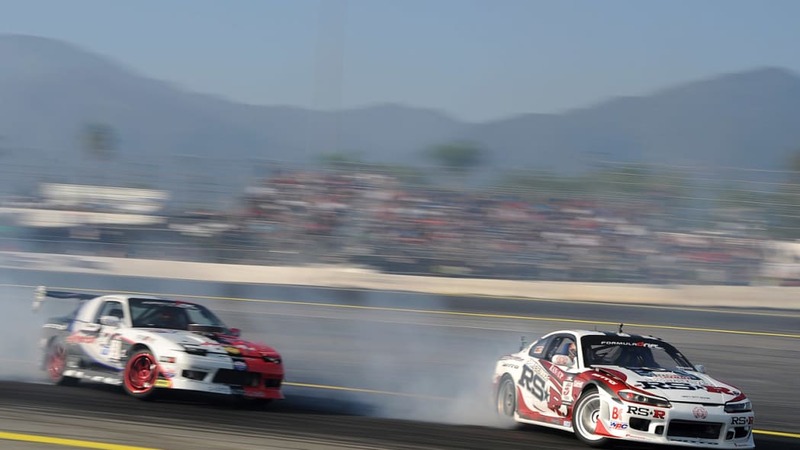 Round 7: Title Fight at Irwindale Speedway showcased drifting in its finest form. 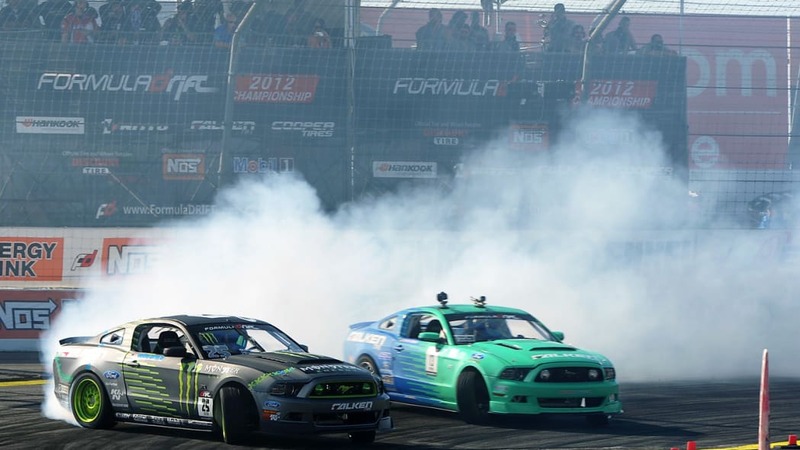 For the first time in Formula DRIFT and Irwindale Speedway history the event sold out before the gates opened to the public. 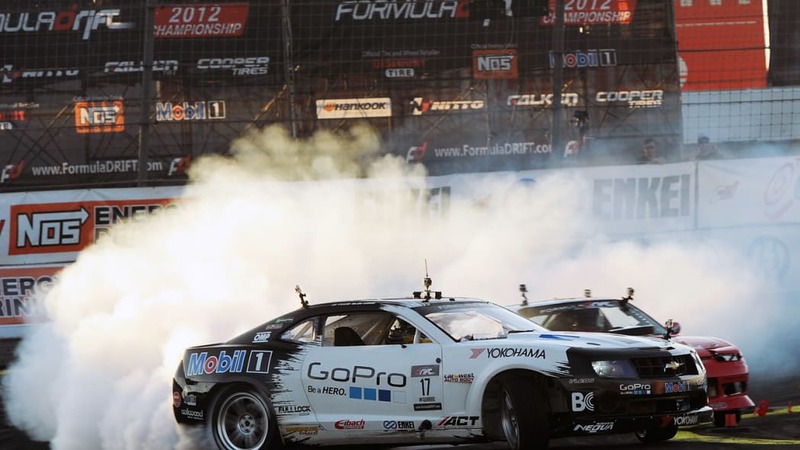 "Last year was so amazing we didn't think we could do it again, not like this" said Jim Liaw, president and co-founder of Formula DRIFT. 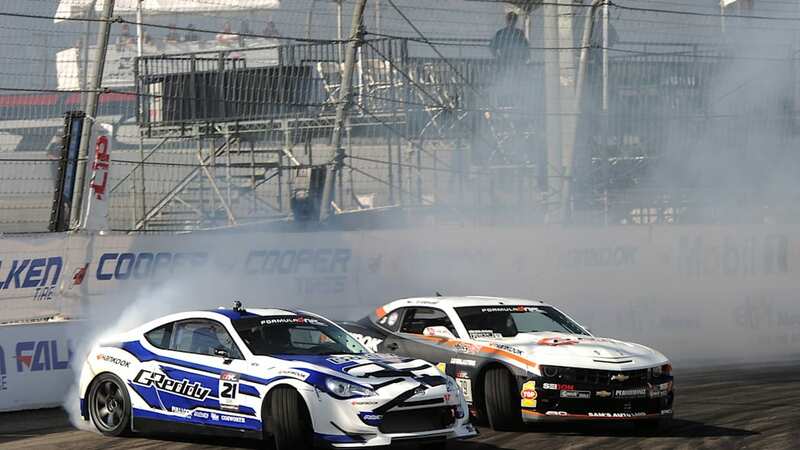 "This is why we love drifting. 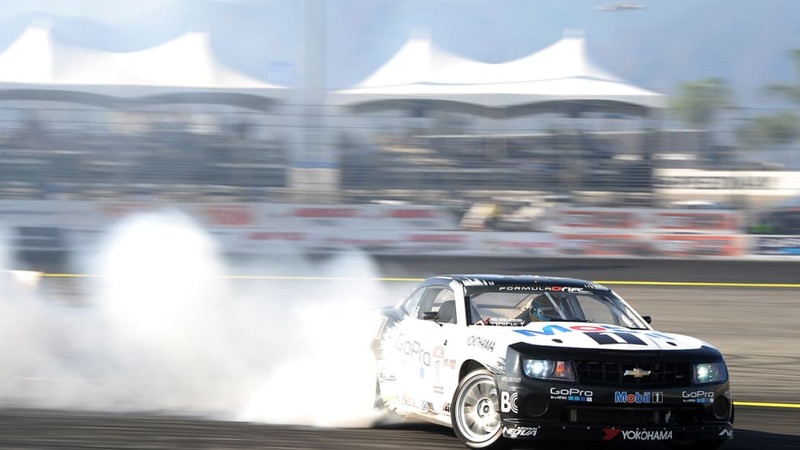 We are so energized for season 10 starting April 12-13, 2013." 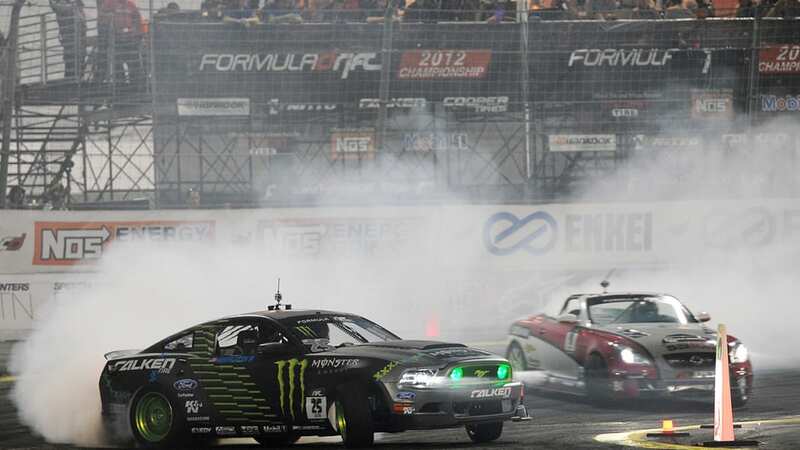 The competition was intense as the championship was up for grabs. 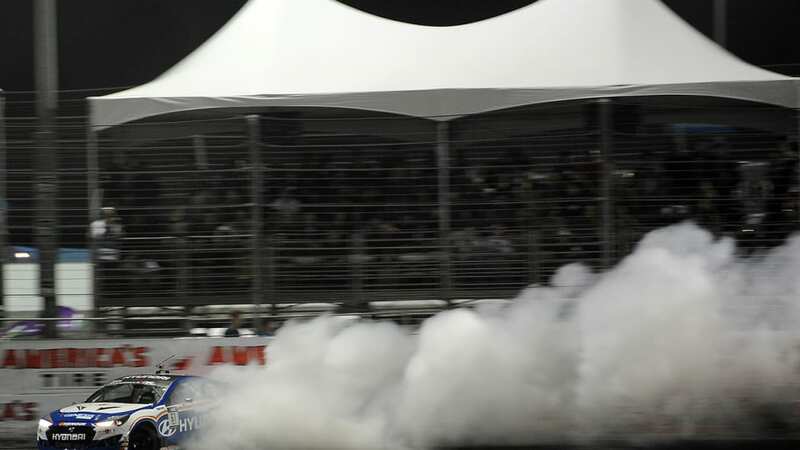 Entering the event, seven drivers had a chance for the title. 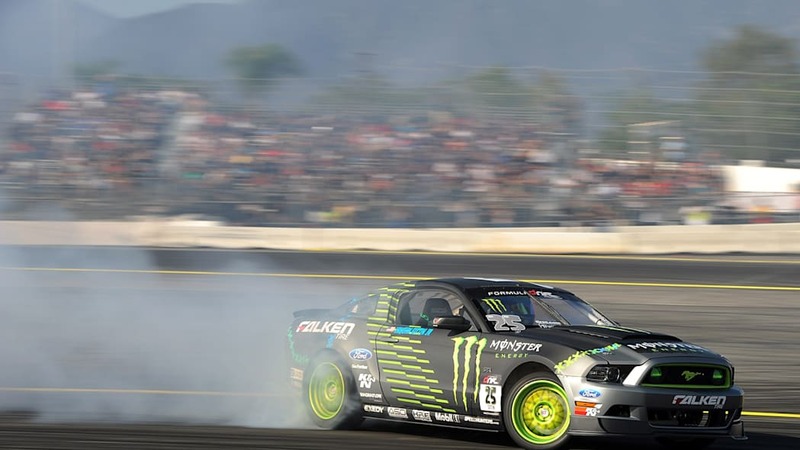 This soon changed as top drivers in the chase were taken out early including points leader Vaughn Gittin, Jr. in the Monster Energy / Falken Ford Mustang, defending champion Daijiro Yoshihara, in the America's Tire / Falken Tire Nissan 240 and the 2009 champion, Chris Forsberg in the NOS Energy / Hankook Nissan 370Z. 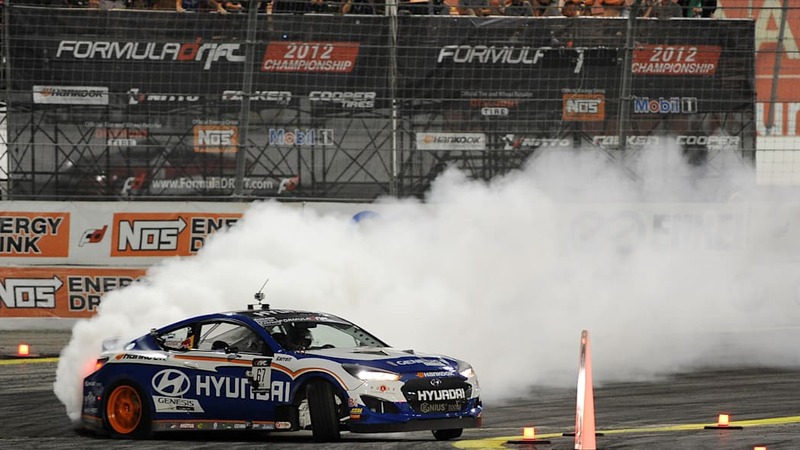 This opened the door for both Daigo Saito and Rhys Millen in the RMR / Hankook Hyundai Genesis Coupe who met in the Final Four. 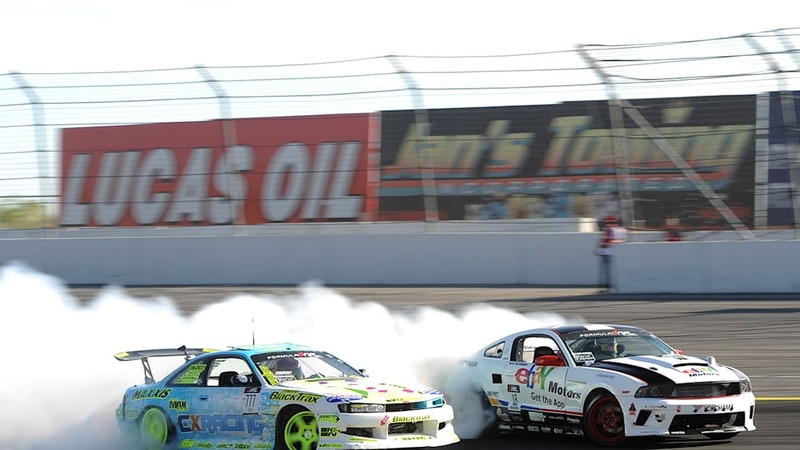 Millen, the number one qualifier took himself out as he went hard into the wall giving the win to Saito. 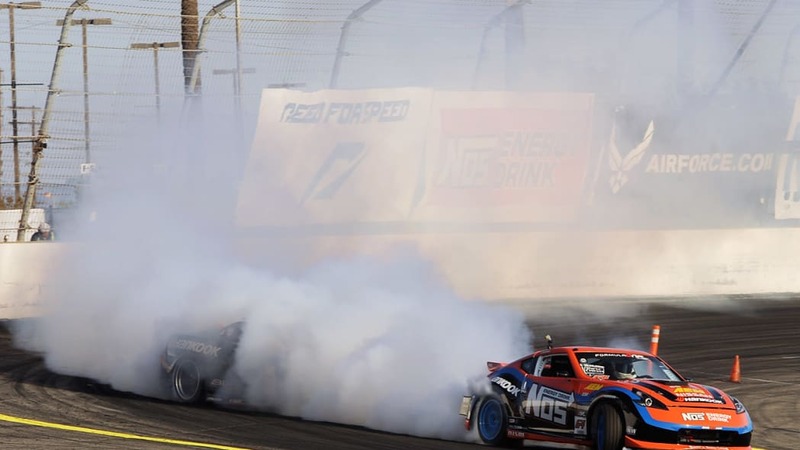 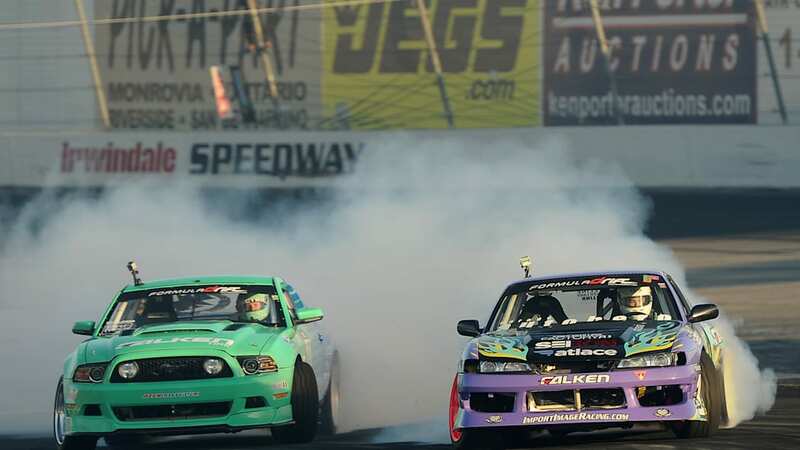 The wall took a number of victims through the competition including Justin Pawlak in the Falken Tire Ford Mustang when he battled Saito in the Finals, giving Saito the event victory. 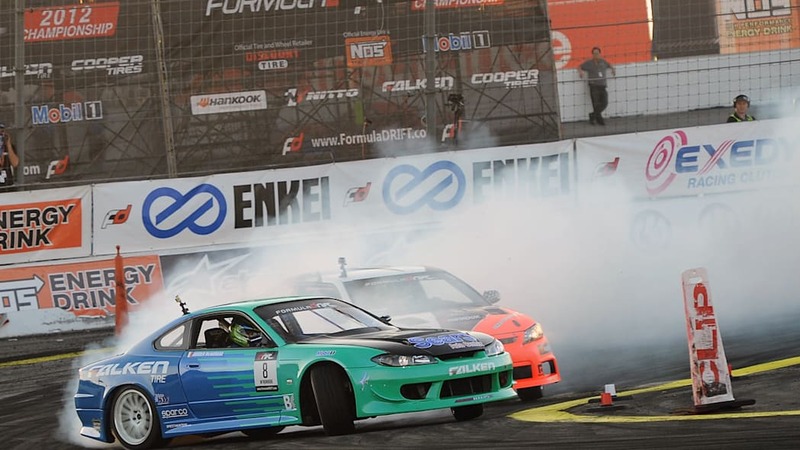 Saito in his rookie year in the Series becomes the first Series rookie to also be crowned Formula DRIFT champion. 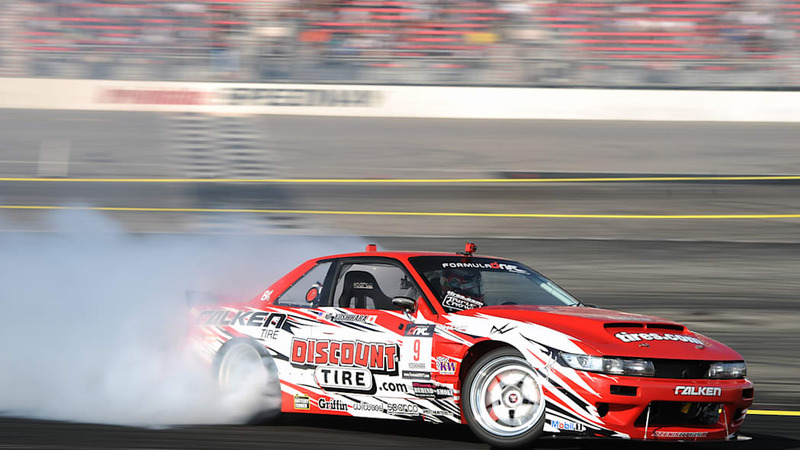 Saito a seasoned veteran drifter is arguably considered the best drifter in the world winning the Formula DRIFT Asia championship, D1 championship and now Formula DRIFT Pro Championship. 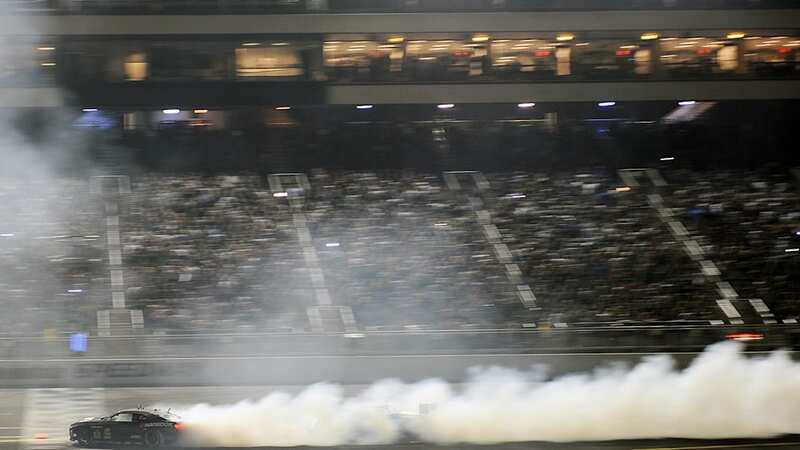 "Luck was with me tonight. 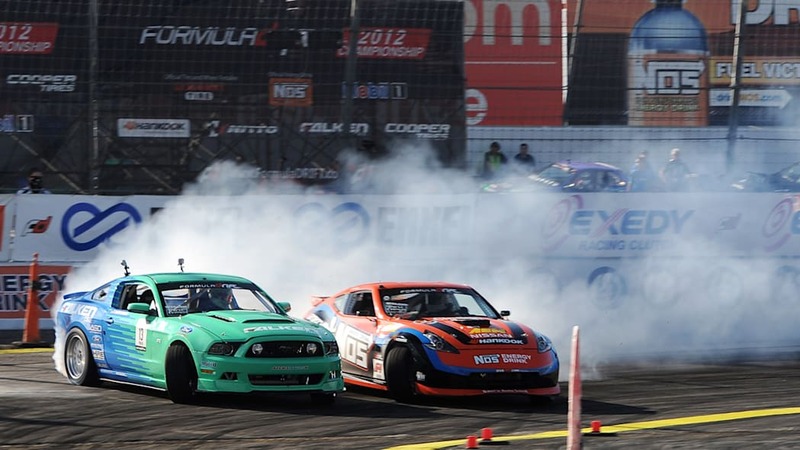 I'm very happy to be able to compete in Formula DRIFT this year. 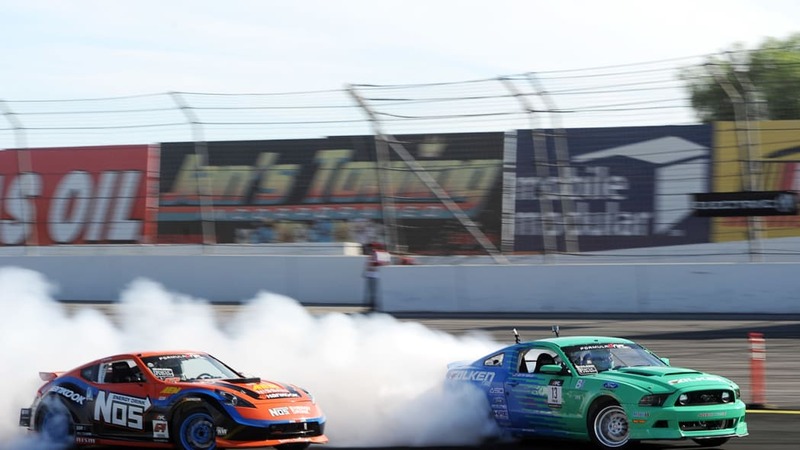 I've wanted to compete in the Series for so long," said Daigo Saito, winner of Round 7: Title Fight and 2012 Formula DRIFT champion. 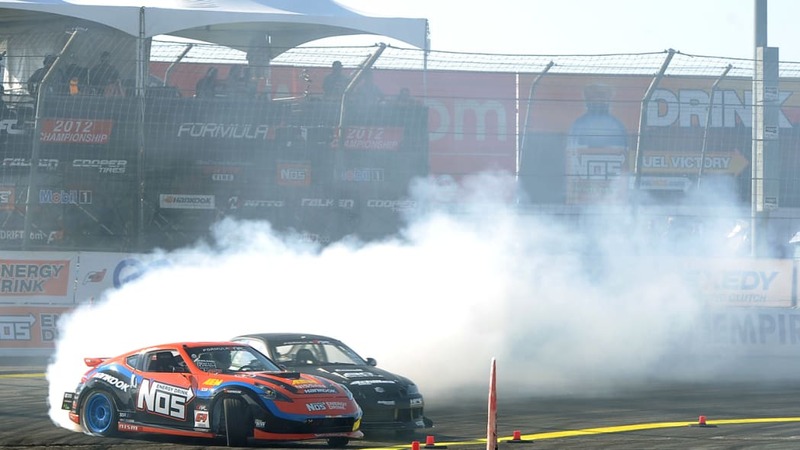 "Thank you to Formula DRIFT and Achilles Tires. 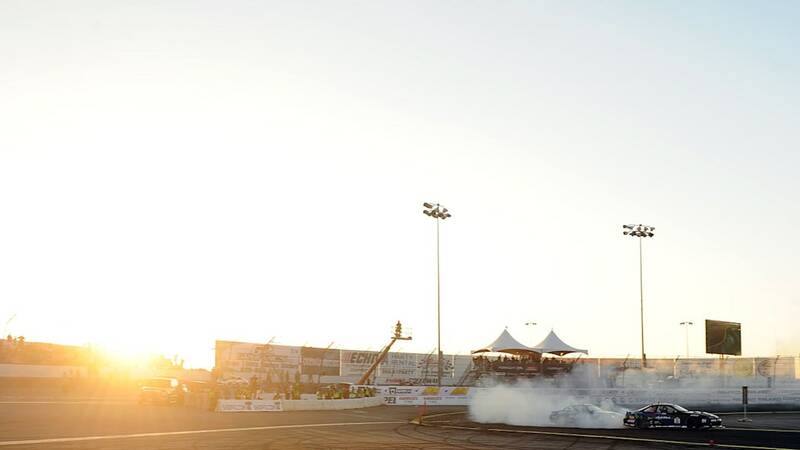 I wouldn't have been able to do this without the help of everyone that helped me get to this point."